Portsmouth paper, The News reports on our work. October 2015. TWO charities have teamed up to strip a derelict hospital of equipment to help save lives in Africa. 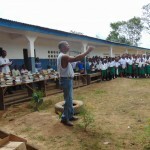 Stubbington-based Farm4Life got Fareham cause The Practical Tools Initiative involved with its project to take supplies from the disused Royal Hospital, Haslar so they could be shipped to Ghana and Sierra Leone. The former hospital closed in 2009, much to the dismay of many people who wanted a medical facility to remain in Gosport. 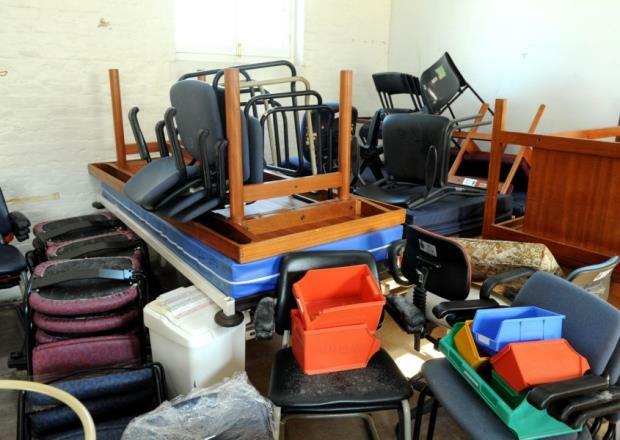 Owners of the site have now allowed the charities to reuse items such as beds, medicine cabinets and chairs – sending them to Africa to be used in schools and hospitals. Lloyd Clewer, who runs Farm4Life, was pleased with the progress that had made and what they had found. ‘They need everything in these African nations, even something as simple as pedal bins,’ he said. ‘Ghana, in particular, used to be one of the best countries on the continent and now it has gone right down. ‘Over there the government aren’t even paying the staff so they don’t have seats to sit on or beds for patients. 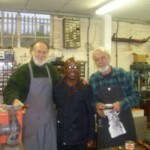 As Haslar no longer has electricity, Lloyd and James Fallah-Williams, a charity worker with The Practical Tools Initiative, had to get the items out through dark corridors and staircases. The duo are now looking for members of the public to help shift the supplies into containers so they can be sent over to Africa later in the month. Caroline Dinenage, MP for Gosport, visited Lloyd and James at the hospital. She said: ‘Royal Hospital Haslar was a hugely valuable and much-loved part of Gosport and a lot people were very upset with its closure. We fully loaded the 40ft container this January! The prevention or relief of poverty or financial hardship anywhere in the world by providing or assisting in the provision of education, training, healthcare projects and all the necessary support designed to enable individuals to generate a sustainable income and be self-sufficient in particular by collecting, refurbishing and supplying used tools to those with a charitable need. © 2019 Practical Tools Initiative. All Rights Reserved.